The capital city of Sweden is by far one of the most incredible cities in Europe. Made up of 14 islands on the Baltic Sea, this elegant harbour offers more than any traveller could imagine. The city is adorned by over 50 bridges, cobblestone streets, and 13th-century buildings like the Storkyrkan Cathedral. Home of the Nobel Prize Museum, and the place where the Noble Prizes are handed out, Stockholm is also a city of incredible elegance and style. Much can be said about this amazing city, but no amount of words or pictures could ever justify the true beauty of it. The best way to see Stockholm in all its glory is by foot. Join one of these free walking tours for the best experience in Stockholm. The top rates free walking tour in Stockholm offers three separate tours of the city. Each one has a different and changing itinerary, so check out their website for the latest dates and times. The main City Tour is ideal for those who are visiting Stockholm for the first time. Friendly and knowledgeable tour guides will take you around the main city area and, for about two hours, show you the top attractions and monuments of Stockholm. See where the Nobel Prizes are handed out and where IKEA got started, and listen to a terrifying story about a murdered prime minister. Apart from this, visit the Main streets Drottninggatan and Kungsgatan, The Concert Hall, and the King’s Garden. This fun tour is ideal for everyone and will surely keep you entertained. The Söder Tour will show you around Södermalm, an area nicknamed "Stockholm's Brooklyn." Make sure to bring your camera for this one since you will see some of the best views of Stockholm. For approximately 2 hours, see how the locals live, learn about the Stockholm witch trials, and visit Södermalm’s many monuments and attractions. 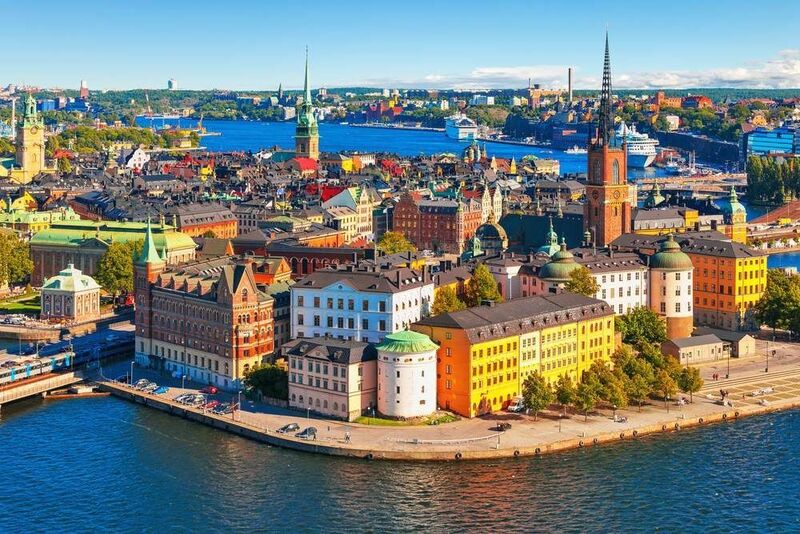 The Old Town Tour, which is held both in English and Spanish, will take you to the Royal Palace, the St. George and the Dragon statue, and the Stockholm Cathedral. Learn about the Stockholm Bloodbath, Crown Princess Margaret's death, and other chilling stories from 750 years of history. The Original Europe Tour group hosts two different free walking tours: The Stockholm Alternative Tour and the Original Stockholm Walking Tour. The guides of the Original Stockholm Walking Tour will teach you about Stockholm's history, show you the main landmarks, and tell you stories about the Vikings and kings that once inhabited the city. The Original Free Stockholm Alternative Tour gives you a fresh look into Stockholm’s street art and graffiti. Explore the urban side of Stockholm and learn about modern and alternative art. Below you can find more popular (but not free) activities and tours in Stockholm. Are you from Stockholm and want to be a tour guide? Please get in touch by submitting your details on this page!